Just over a year ago I became a Master Gardener Volunteer after completing a course at my local Cooperative Extension office. 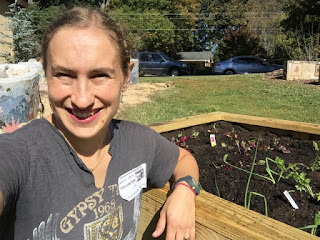 I have enjoyed volunteering at various gardens over the last year and the farm at the children's home in Winston Salem. I would say my passion is always in growing vegetables that's what brought me to the farm. 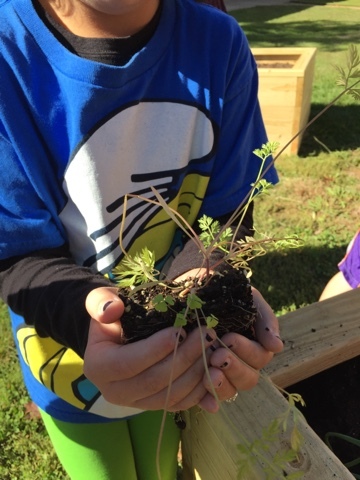 I started helping in the Global Garden at Clemmons Elementary about a year ago too I would say mostly weeding and dropping hints that we needed a vegetable garden. 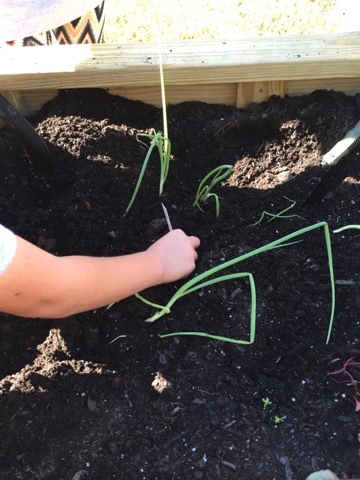 As a registered dietitian and gardener I feel growing vegetables with kids is amazing. 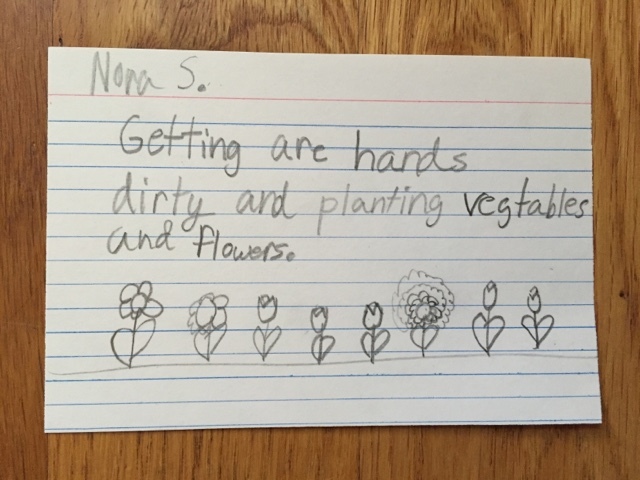 I have a few raised beds at home and love how excited the kids get picking and enjoying ripe tomatoes, snap peas and more. 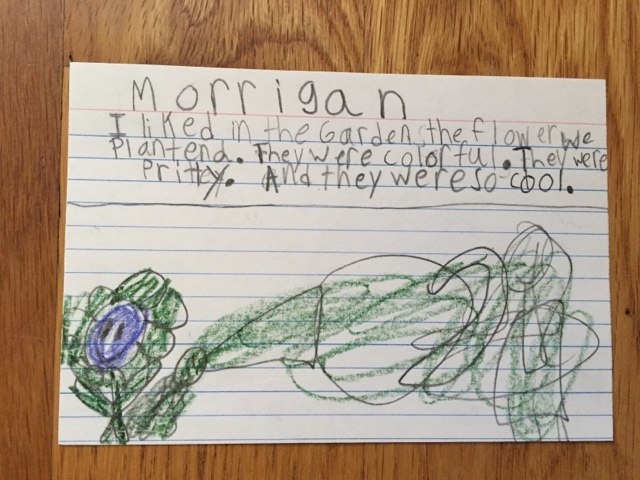 They feel proud that they helped grow it and love the taste. 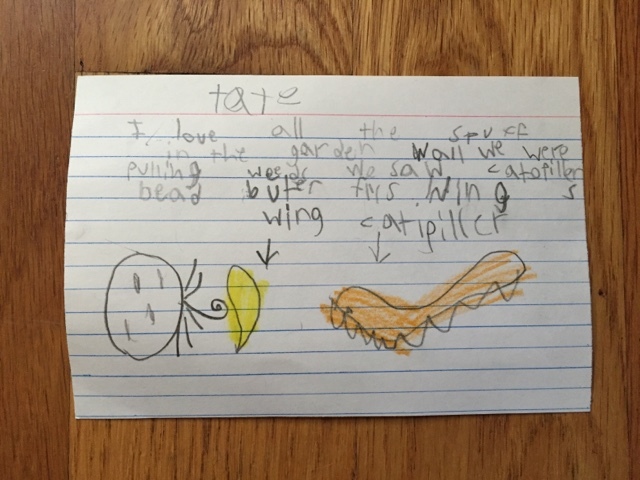 Its so important that kids learn where their food comes from in fact I often ask farmers if we can visit their farms and have booked farm stays on our travels to help our kids learn this. 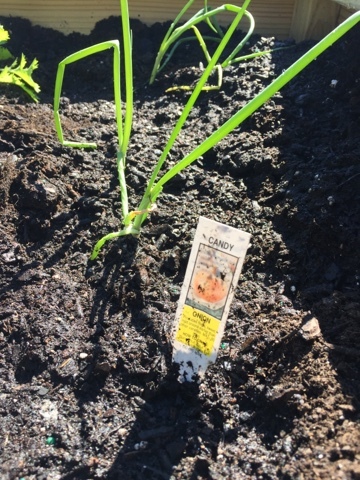 I started gardening after losing my Granddad who was an avid gardener and my inspiration. 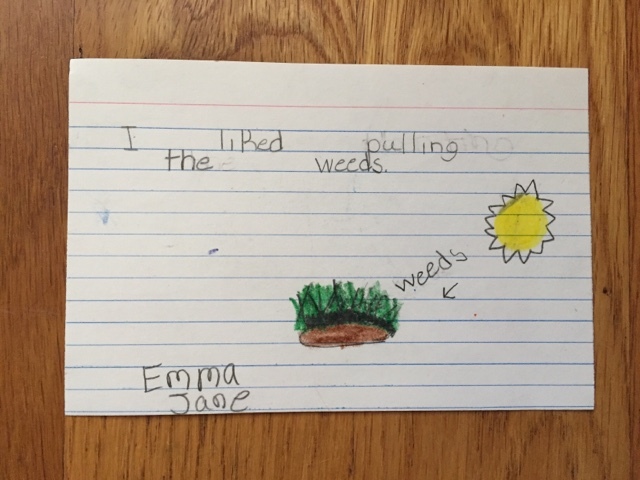 If you are able to volunteer at your children's or Grand children's school or even your local school I would really encourage you to consider helping in the garden, often its as simple as pulling weeds. What I have learnt is the importance of having the head teacher, other teachers, parents and school PTA on board. 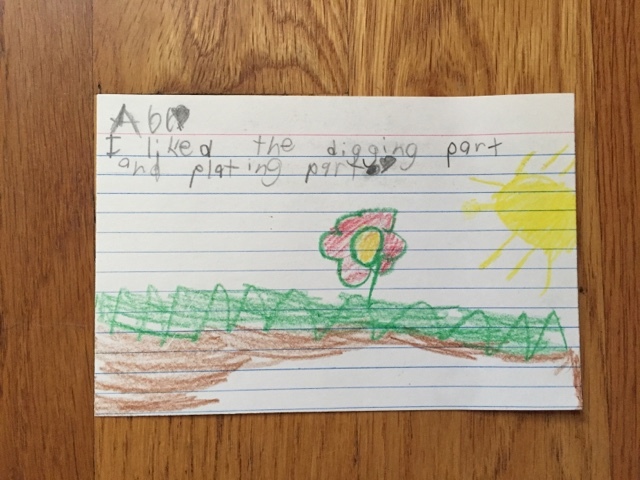 It takes a team approach and you really want to ensure the kids can come out and be involved. There are various grants available for funds, such as one from Whole Foods, Lowe's and many more. 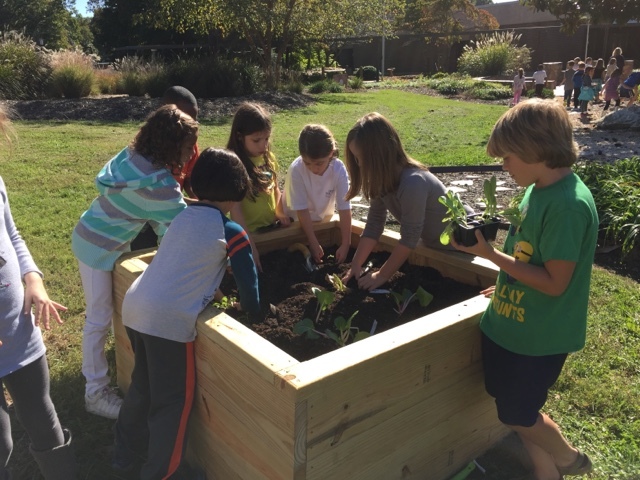 We were given a donation from Farm Bureau insurance of $500 dollars, at first it doesn't seem a lot and some quotes for the raised beds were high. 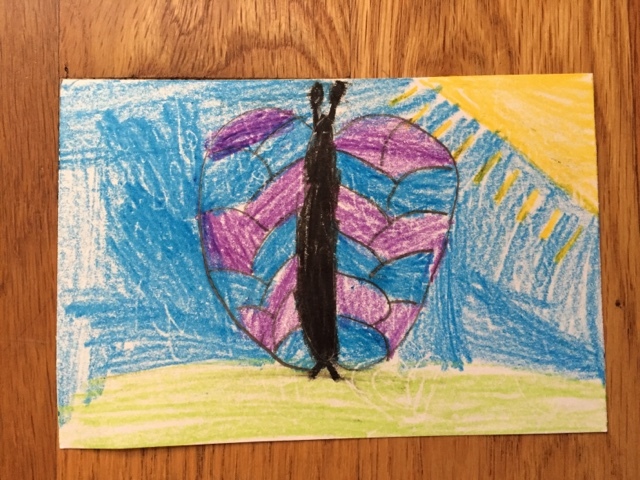 But one of the mothers Dad's kindly offered to build them at cost with no labor charge and it is so doable if a community all pulls together for not a lot of money. 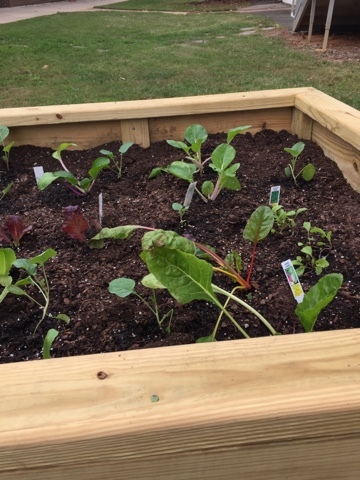 This week we planted our fall garden with lettuce, broccoli, carrots, beets, Swiss chard, radishes, onions, arugula and bok choi. 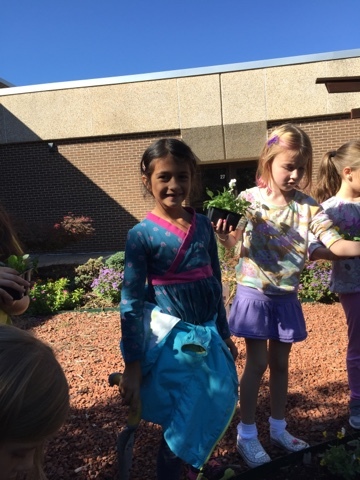 I am especially eager to see the carrots and beets grow and enjoy the excitement on the kids faces when they harvest and eat them. 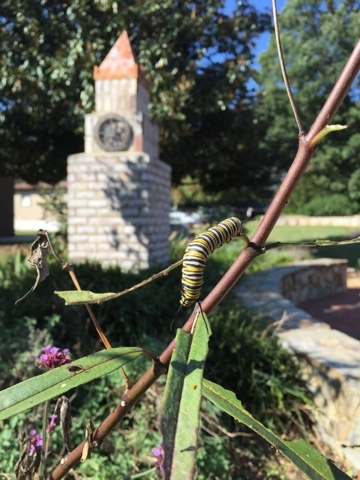 One change we made to the garden was the addition of milkweed for Monarch butterflies and other flowers for pollinators and we were thrilled to see monarch caterpillars and many butterflies in the garden. 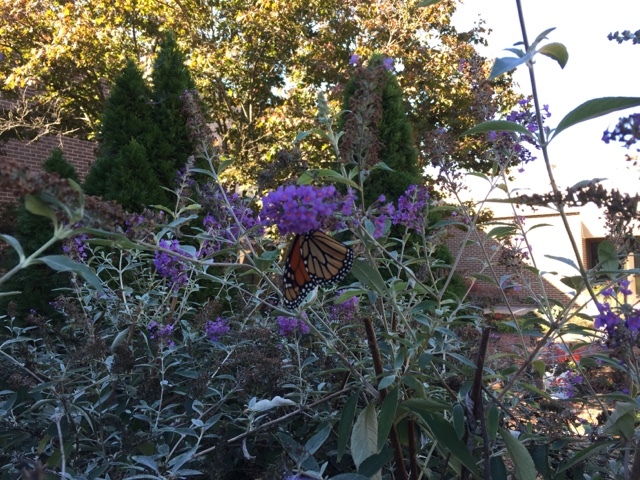 These amazing butterflies have been in decline so folks lets all plant some milkweed to help them on their epic journey to Mexico! 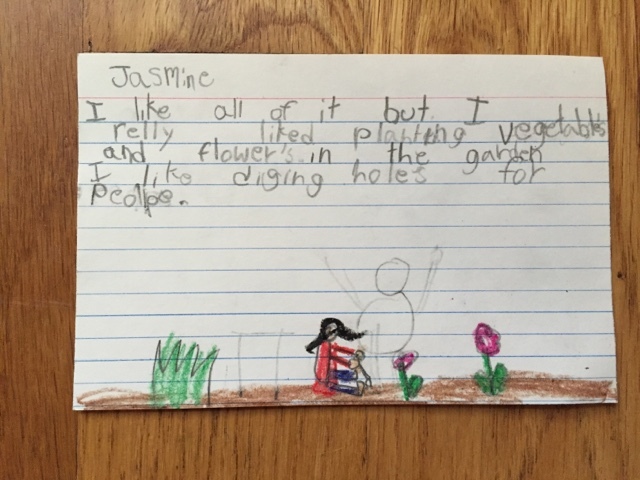 I was curious what the second graders thought of helping in the garden for some its their second time in the global garden the teachers made my day when these card' were sent home with Jasmine. These are a sample of them. 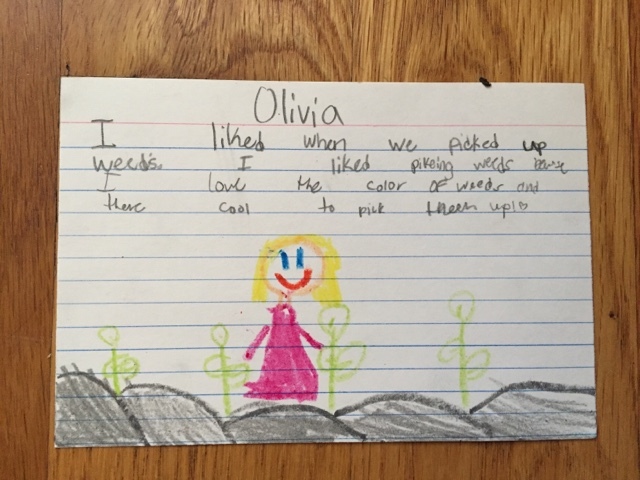 So if your thinking of starting a school garden I want to encourage you, it can be done maybe be patient make friends with the teacher and the PTA show your dedication and they will come on board, its a wonderful learning tool and promoter of health and delicious food. 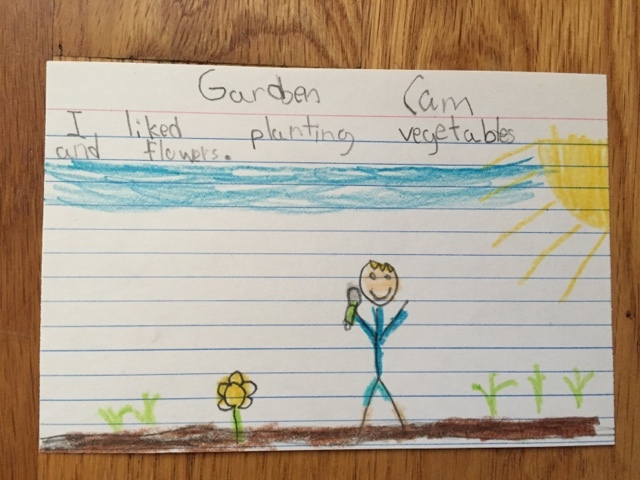 from State Farm insurance, and Mr. Edgar Miller from Farm Bureau who is a retired Dairy farmer and truly cares about connecting kids with food, he has approved funds for a few local school gardens. 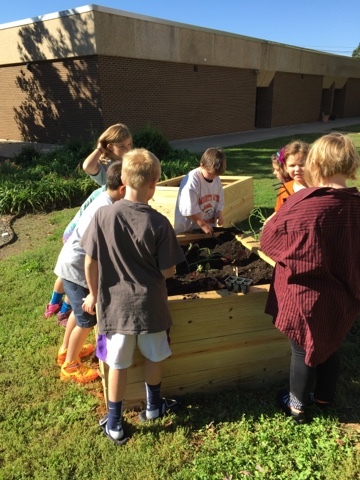 Aso want to shout out to Mr. Cox and Magan Russell also Ethan who built the raised beds. Sherri the PTA president and Rachel treasurer and others on the board. The wonderful teachers Mrs. Daniel, Mrs. Walton and Ms Martin who have brought the kids out to help. 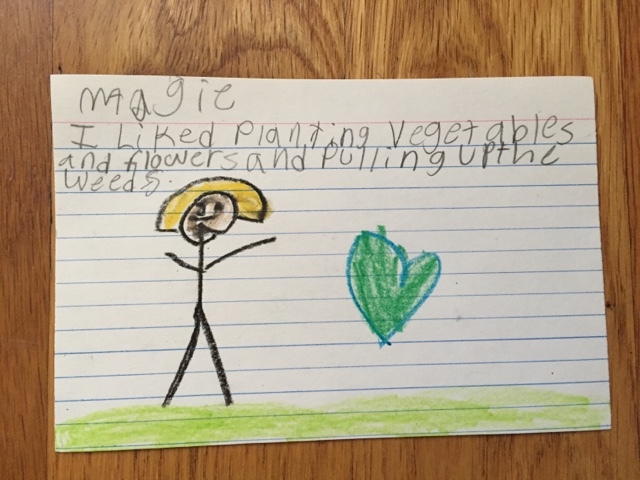 Here's to a future where all schools have gardens and a love for food, agriculture and nature everything is beautifully connected.